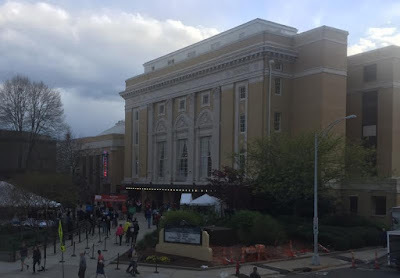 The films I saw on the second day of this year's Full Frame Documentary Film Festival weren't as flashy or fun as my picks on the previous day, but they may have been a lot more thought provoking. We also meet Greg Hindy, who holds up a notebook with writing that says: “I have taken a vow of silence and am walking across America – Nashua, NH – Los Angeles, CA July 2013-July 2014.” Shen checks back on Hindy throughout the film, in between visiting a trappist monastery, various national parks, and most interestingly examines avant-garde composer John Cage's “4'33,” a famous composition that requires musicians to not play their instruments for the duration of four minutes and thirty three seconds. 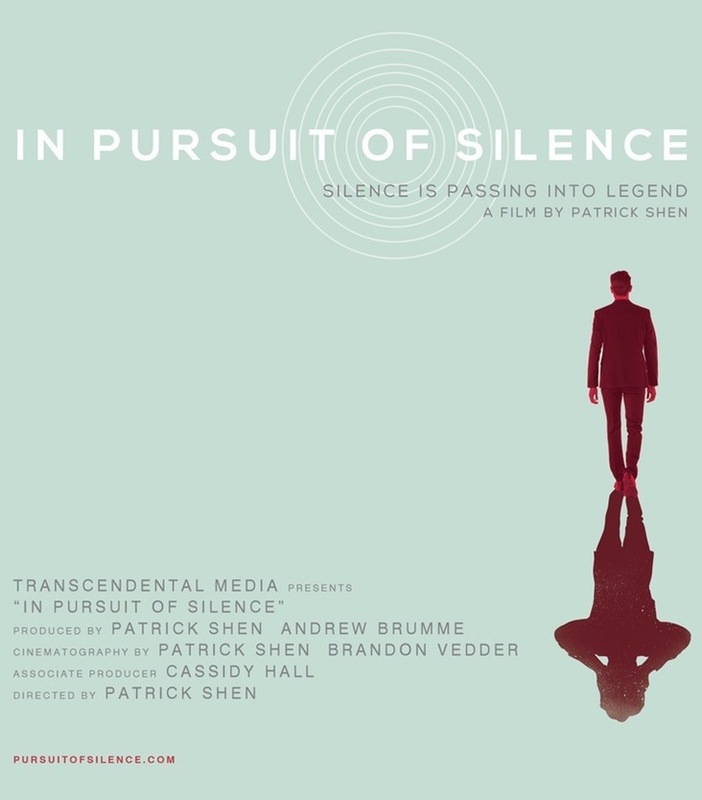 IN PURSUIT OF SILENCE is full of gorgeous serene shots of wide landscapes juxtaposed with noisy imagery of a bunch of bustling city activity shot by cinematographer Brandon Vedder. 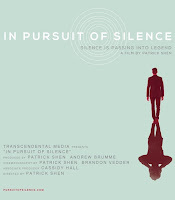 In many quiet sequences, the film casts a meditative spell, but then jars the viewer out of it with montages of loud machinery, clips of Fox News pundits yelling at each other, and the scary statement by a doctor that excessive noise can cause heart disease. Speaking as somebody who's prone to over-stimulation, Shen's work here definitely touched more than one nerve. Next up, two of my favorite documentarians, the husband/wife duo of Chris Hegedus and D.A. 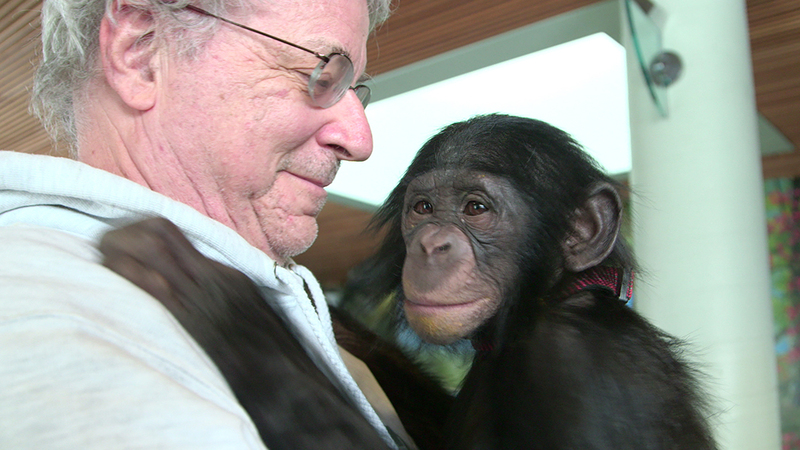 Pennebaker, who should be very familiar with Full Frame regulars, presented their follow-up to 2009's delightful KING OF PASTRY, UNLOCKING THE CAGE, which focuses on animal (or nonhuman) rights activism. The incredibly involving, and lovingly made doc concerns attorney Steve Wise (pictured above with chimp friend) and his legal team, the Nonhuman Rights Project, fighting for animals, mainly chimpanzees, to be granted personhood rights which would protect them from physical abuse. “Will this court case be the first step towards a real life ‘Planet of the Apes’?” asks one internet headline. So Wise and his passionate crew work to free a couple of former show biz chimps named Tommy and Kiki, and a couple of other imprisoned chimps being used for biomedical research from their neglected captivity as such scrutiny from the media goes down. In one of the film's highlights, Wise makes an appeal on behalf of Tommy to the New York Supreme Court arguing that “the abilities of self determination, and autonomy are supreme values within common law, and these are also the same values that the writ of Habeas corpus was constructed over the centuries to protect, and we ask this court to not necessarily find that Tommy is a person, but assuming as Lord Mansfield did, without deciding that Tommy could be a person, remanding to the court in order to show cause and proceed in accordance with Article 70.” Yep, Wise really crushes it there. UNLOCKING THE CAGE is another strong offering from Hegedus and Pennebaker. With its masterly unobtrusive viewpoint on the unfolding events, it stands in the same high class as their 1992 Bill Clinton campaign doc THE WAR ROOM, which is screening this fest (on Saturday morning) as part of the Thematic Program “Perfect and Otherwise: Documenting American Politics.” Wise, his legal team, Hegedus, and Pennebaker sure convinced me that autonomous beings deserve to live autonomous lives. I bet anybody who seeks out this doc will be convinced too. 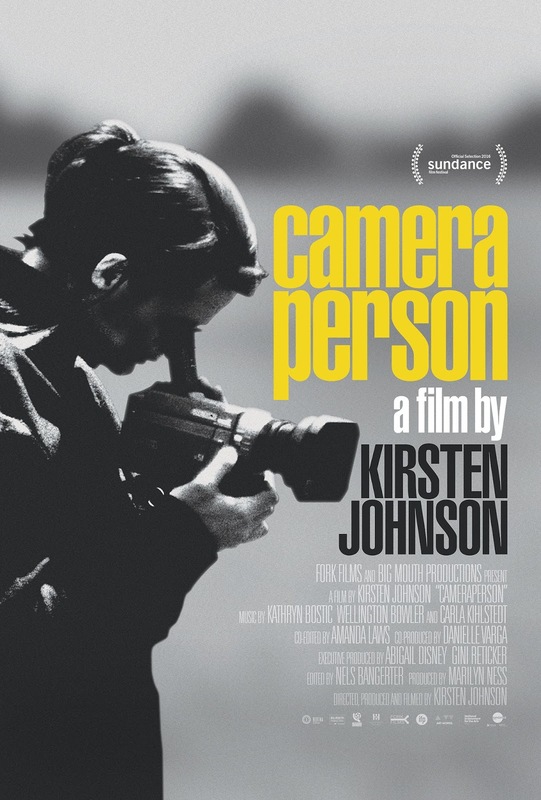 Next up, the new film from the recipient of this year's Tribute Award, director and documentary cinematographer Kirsten Johnson: CAMERAPERSON. Johnson's doc, her fourth as director, is made up of short scenes from the films she's worked on over the last two decades including CITIZENFOUR, DERRIDA, LIONESS, and THIS FILM IS NOT RATED. It's a fluid flow of shots that amusingly bounces around from some locales as Bosnia, Afghanistan, Darfur, Eygpt, Texas, and Johnson's New York apartment. We get the sense, like from a Washington DC take with Michael Moore on FAHRENHEIT 9/11, that these largely incidental, choppy clips have as much meaning, or more, to Johnson as the polished versions of the material that appeared in the released films. Congratulations on the Tribute Award Mrs. Johnson, and on this fine, well conceived career overview. My final film for Friday's roster was Samuel D. Pollard's TWO TRAINS RUNNIN', a film I was excited about because I noted that there seemed to be a lack of music docs at this year's fest. Its about two separate groups of young white men, one from the East Coast and the other from California, searching for the largely forgotten country blues musicians Son House and Skip James in Mississippi in the early to mid '60s. The fact that this was during the Civil Rights era, one of the most dangerous periods of unrest in U.S. history isn't lost on any of the doc's participants. Especially when the day that both groups solve the mystery of where their heroes are, coincides with the day that three civil rights workers were abducted and murdered in Neshoba County, Mississippi (June 21, 1964). 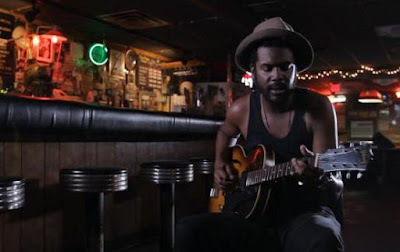 Oscar-winning Hip hop artist Common narrates, effective animation by Apparat Animation Design fills in the gaps where no photos or footage is available, and musicians such as Guy Clark, Buddy Guy, and Lucinda Williams provide insights into the legends of House and James, alongside some affecting performances of the old bluesmans' best known songs. From the audience response I know I'm not alone in finding TWO TRAINS RUNNIN' to be a fully rounded doc that, with the help of music historians and the musicians themselves (especially Guy Clark, pictured above, who composed original music for the score), beautifully connects some powerful dots that form a rich portrait that you don't have to be a blues aficionado to appreciate. Okay, that's Day 2. Coming soon: Coverage of Days 3 & 4 of Full Frame. Also check out my recap of Day 1 if you haven't already.